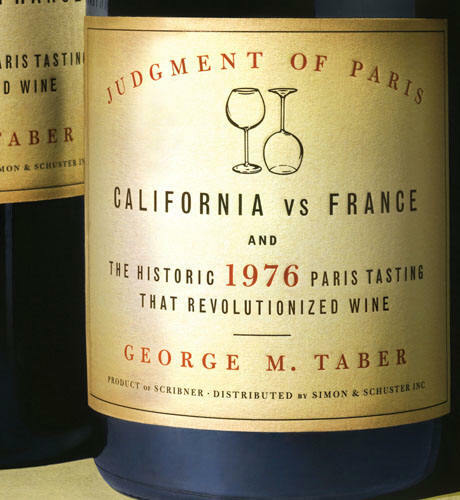 By happenstance, last week I picked up a copy George M. Taber’s Judgement of Paris, California vs. France and the Historic 1976 Paris Tasting the Revolutionized Wine. I had no idea when I purchased it that it was the advent of the 35th anniversary of that event. Today being the day. Although, I am only about half way through the book, I find it to be an amusing read even if some of the anecdotes that Taber provides to add color about a situation or the personality of a Napa vintner, for instance, seem a little out of place in the text. But that is a small quibble. The book captures the essence of California wine country history in a retelling of the events leading up to the historic tasting where American wines, surprisingly, beat out some rather formidable French competition. But as I think back on that event (of which I was blissfully unaware at that time), I see that the world, and specifically, the world of wine, is a very different place today, a mere 35 years later. Although I was too young to imbibe in 1976, in the years that followed, I somehow became aware that American wines had beaten the best France had to offer in a wrestle-mania kind of smackdown. Hell, let’s face it, anytime we can show the French up, we enjoy it. But where was I in 1976? Working, not that hard, toward a high school diploma, at the Cosmo-Demonic Catholic High School (thank you Henry Miller). Wine was the last thing on my mind. I am grateful to have had two formative moments when it came to wine. In the late seventies I had my first sweet sip of Fratelli Lambrusco (the cheap drink that started me on this journey) with a girl named JoAnn. Not to worry, shortly thereafter I graduated from that delightful nectar to Lancers Rosé and then Mateus Rosé (Saddam Hussein’s date-night favorite, apparently). Let’s not even talk about Riunite wines. At 19, you can drink anything and and get away with it. My second wine epiphany came in my first year of law school when I was 23. I bought a bottle of some inexpensive rhone wine from Louis Jadot back in 1983 to accompany a roast chicken that I made for myself that night. I must have enjoyed it since I finished the bottle by my lonesome that night. I probably had Mahler’s Fourth Symphony playing on the stereo that evening. It was magical! I vaguely remember stumbling into bed and waking with a mild hangover the next day. Maybe it wasn’t so mild, but, never mind. I remember how startled I was that the wine tasted so much better when paired with the student cuisine du jour– my first stumbled-upon and successful pairing. But I digress. Why do I care about the Paris tasting? It turned conventional wisdom upside down, for starters. Although Prohibition ended in 1933, the aftershocks of those few boozeless years severely damaged the domestic wine industry and the effects of that carried into the 1970s. Does anyone remember Paul Masson and Gallo jug wines? That’s pretty much all we had, folks: these were the wines that most people thought of when buying American table wines. Up to that point, if you were an American wine snob, you only drank French wines. The Paris tasting changed that. Not just for Napa wines (the big winners in the tasting), but ultimately for wines from any number of countries including Australia, South Africa, New Zealand, Argentina, Chile, etc. That event made people around the world realize that America had something great to contribute to the wine world. But perhaps, more importantly, it made people in America realize that good wines existed outside of France. And that is a good thing for someone like me who is always looking for the next exciting region/varietal/producer.